As with most of my fashion loves, I find myself drawn to specific colors, patterns, even feelings that a piece has. So, it was no surprise when destiny called me to stumble upon the Two Tickets’ instagram account (@twotickets). The lovely and talented designer, Amanda Schwartz, created her own line of fierce handbags and accessories after graduating from The Savannah College of Art and Design and working in small design house. Her aesthetic definitely speaks to me, especially her “evil eye” pieces that have superhero powers (if you ask me) of warding off bad energy and looking fabulous. You can tell that her natural talent is in creation when you see her shops (see links below). 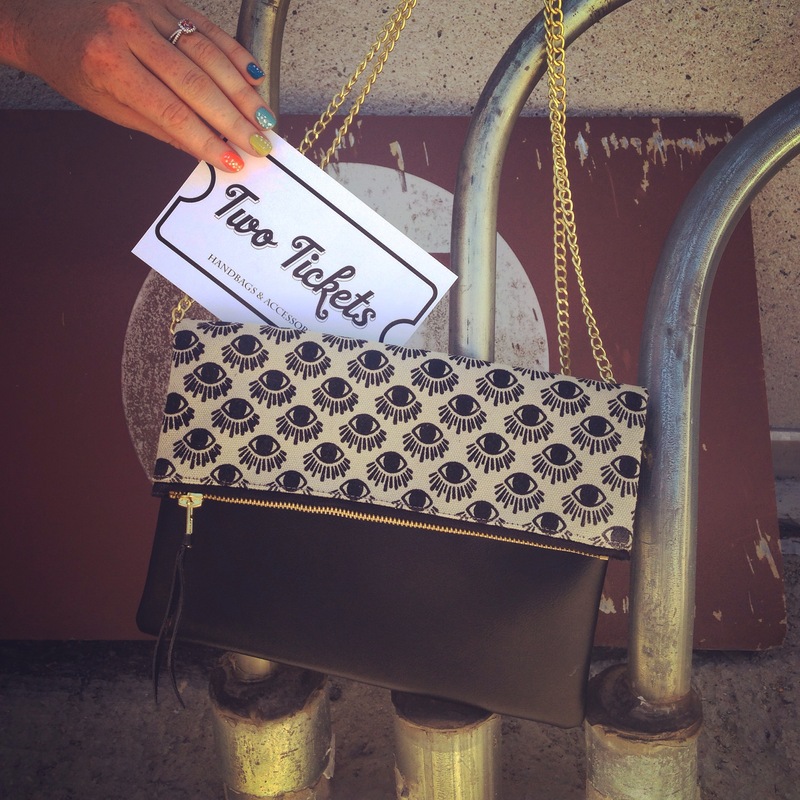 She notes that her core philosophy for Two Tickets is, “the result of the dream to unite form and function, past and present, beauty and durability.” I want to thank Amanda for the awesome bag, and for bringing female design power to the world-! I’m totally digging Two Tickets. See you later this week, readers! Thanks so much for stopping by! Once again you have created a outfit that most wouldn’t pair together and made it look so chic and awesome! 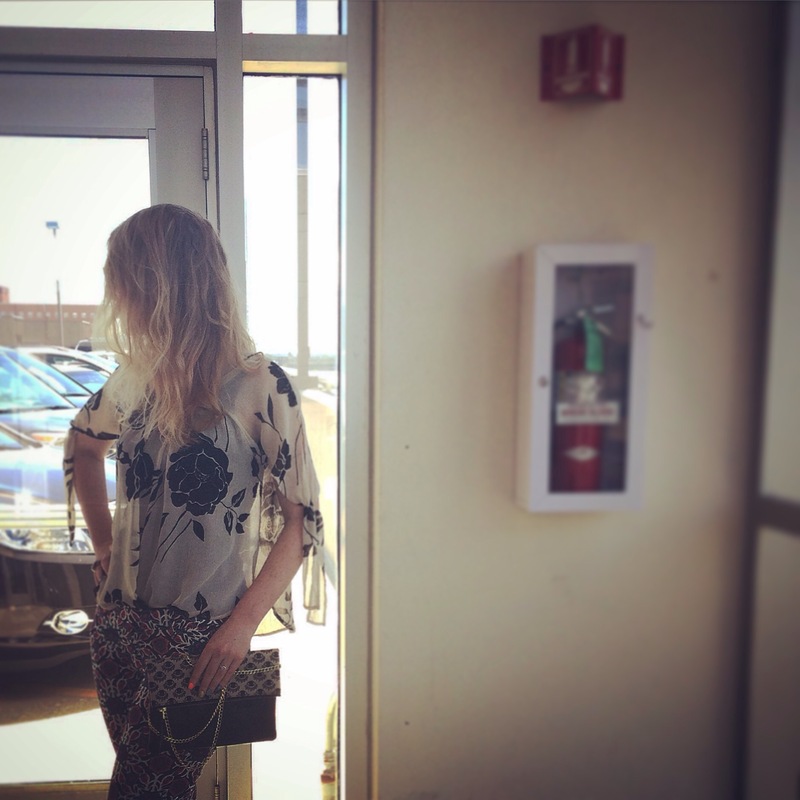 I love that bag I am eyeing the Red Leather Foldover Clutch Canvas Polka Dot Case. It’s a beauty! Love these prints! 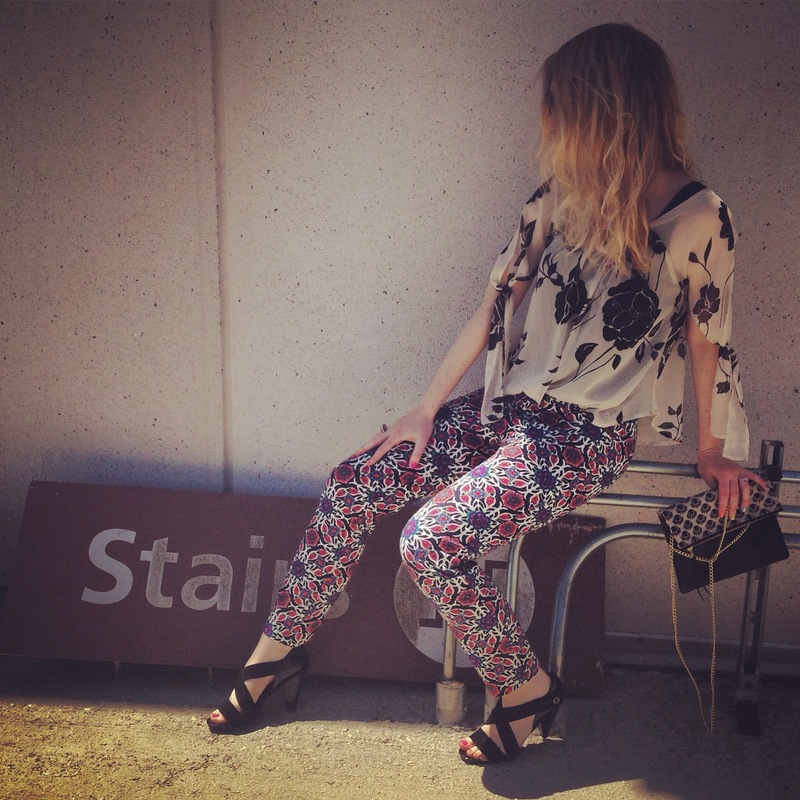 We can always count on old navy to make patterned pants. Wow, what an inspiring outfit-very bold, unique, and statement worthy. Over and over I see you put pieces together that I would never imagine flowing but you pull it off so well. Bravo! That bag is gorgeous!!! Love the printed pants too! The bag is super cute! Love the eye print on it.. Very whimsical and trendy! And your pattern matching fits in perfectly with it! Oh snap! What a fabulous bag, I love the evil eye print. I have a feeling you will get a lot of use out of this bag. Rock those bold patterns girl! The most I’ve ever experimented with different patterns were polka dot and strips and even then I thought I was being extreme, you pull it off well. 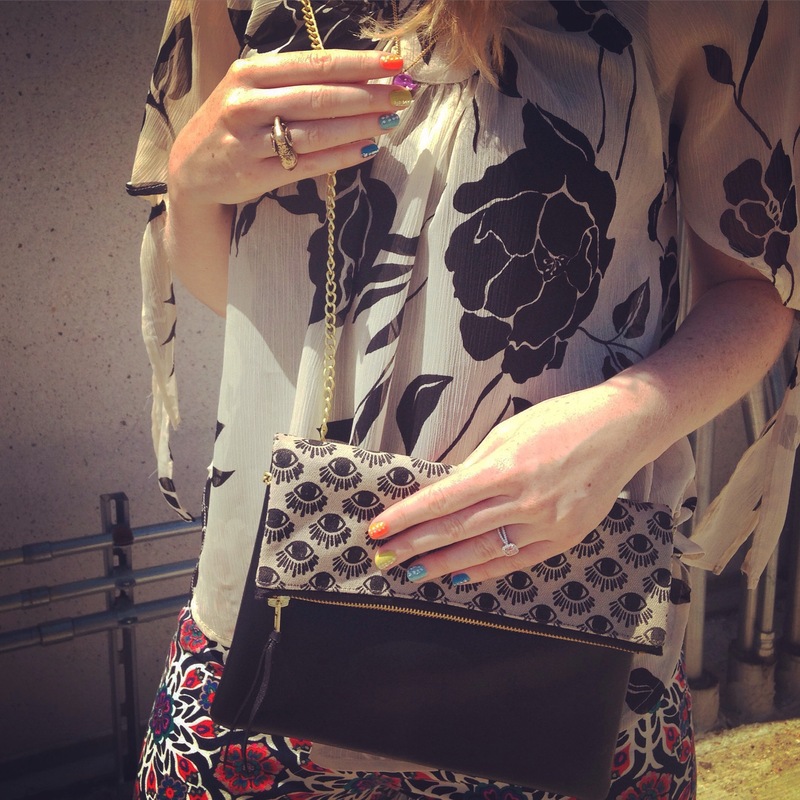 Print-clash look is always great fun! !